It can prove daunting to decifer exactly where savings can be made when it comes to heating / cooling in your warehouse, and then, what is the best solution for your site? The two biggest energy consumers in a warehouse are lighting and temperature control (in the form of heating, cooling or refrigeration) and account for approximately 76 percent of total energy use making these systems the best targets for energy savings. With some simple steps, you can not only save yourself money, but can also increase the efficiency of your warehouse. 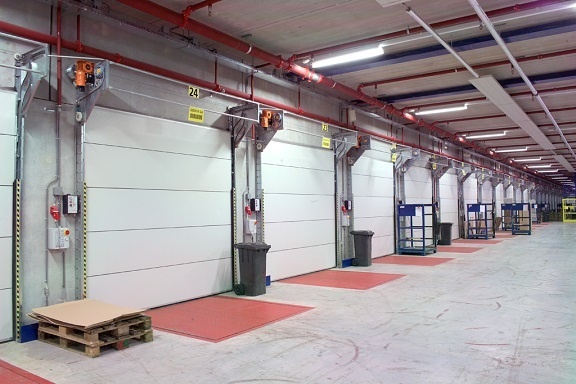 It sounds obvious but for many warehouses, insulated doors are not a priority even though the energy loss through them could be significant when you consider the amount of wall space which they could consume. Consider all your options and the insulation values of warehouse doors on offer before making a final decision - the cost savings may be significant. Notice in the picture above, that the door panels fold up into small, compact units above the doorway, allowing for lighting to be installed directly above the doorway. Standard overhead doors often require hefty overhead beams for the door to roll up, and over, therefore eliminating any chance of having overhead lighting / ducting etc. right above the doorway. Download the Compact Sectional Door brochure here. One of the biggest loads on an air conditioning is infiltration, the leakage of outdoor air into a conditioned space. Infiltration is even more costly on cold-storage warehouses, walk-in coolers and blast freezers but also could create an uncomfortable workplace for employees in the depths of summer and/or winter. Doors that are insulated are necessary for any warehouse trying to maintain a strict interior temperature and lower energy costs and an open door provides the largest portal for energy loss in any warehouse. To counteract this, since we do need to come and go throughout the day, is that your doors are preferably automated, high-speed and easily repaired. 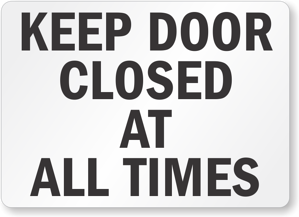 By having doors which are operated by sensors, and which will open and close straight away, after personnel have moved through, will cut down significantly on energy lost through doors being left open for longer than required. 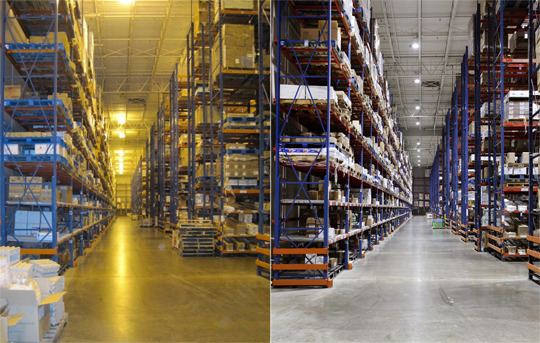 With lighting, experts say start by asking two questions: How much light is necessary in the warehouse and where is it needed most?